Comment: A water-clear quartz crystal is strikingly included with a distinctive phantom of angled, spearpoint-shaped, iron oxides. 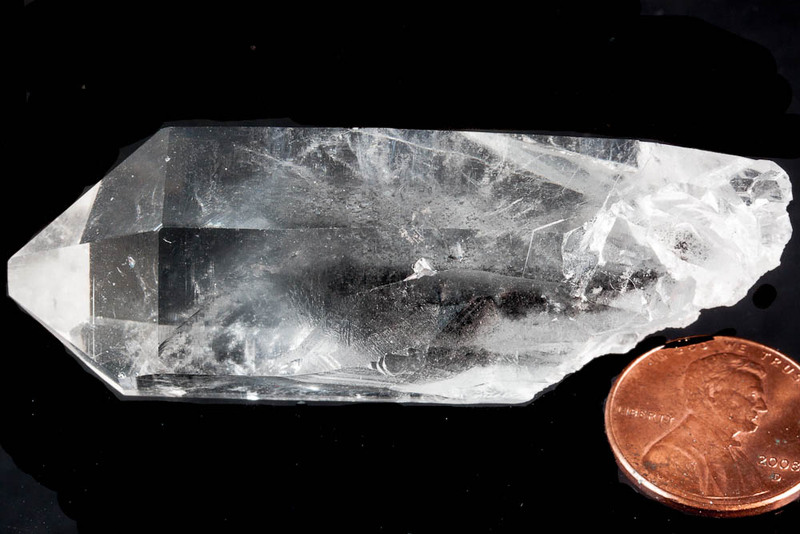 This showy and uncommon quartz is from an obscure Arkansas locale, but is well-known among locals for producing phantom quartz. Complete all-around and nearly pristine, with only trivial edge wear. The prism faces really enhance the optical effects of the angled phantom! The photo does not adequately capture the phantom.